When you become a member of The New Jersey Macintosh Users Group (NJMUG) you gain full access to everything the group offers. NJMUG members are able to attend all 12 monthly meetings per year. 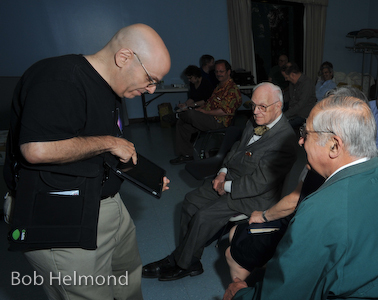 Our monthly meetings provide access to other members who share an unbridled passion for the Macintosh computer. And our members are all about "members helping members" so you'll not only learn new things, but you'll have a great time and make new friends in the process. Our "Question and Answer" session will help you solve personal problems you may be having with your Macintosh, iPhone, iPad, iPod, or other device. Our presentations showcase the latest in Apple hardware, software, shareware and services, as well as focus on important topics like computer security, maintaining your Mac, and Macintosh basics. Whether you are new to the Macintosh or an experienced veteran, our monthly meetings offer something for everyone. Each month Apple User Group members are eligible for special offers and exclusive discounts on hardware, software, magazines, books, and services. These discount offers require that you be a current Apple User Group member to qualify for these savings. When you become a member of NJMUG you automatically gain access to these discounts each month in our "members only" section of the website as well as on our monthly member distribution file. Join NJMUG today and start saving money on many of the items you probably already purchase. 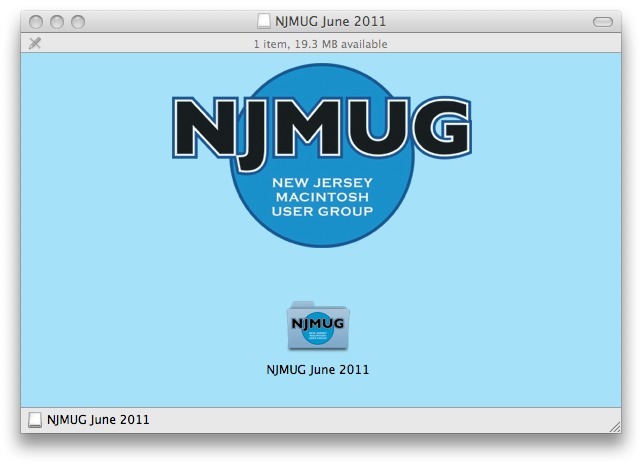 We prepare a special NJMUG monthly distribution file which contains all the software, links, information topics, and other files discussed at our general monthly meetings. The file also contains the latest version of our MacLedger newsletter and the current member discount offers. The monthly distribution file is available to be uploaded onto your personal USB thumbdrive at each meeting. NJMUG members are provided with a a complimentary USB thumbdrive to bring with them to the meetings when they sign up as a member. 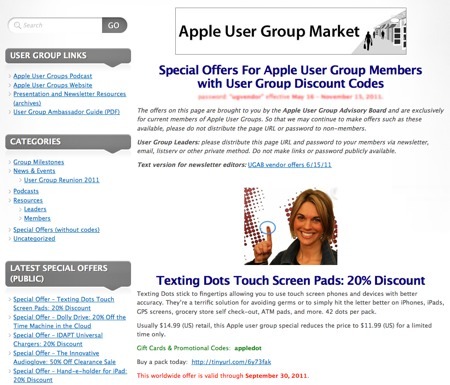 NJMUG publishes an information packed newsletter known as the MacLedger for it's members. Available exclusively as a PDF download, each issue of the MacLedger is chock full of Apple news, hardware and software reviews, helpful tips and so much more. Each monthly issue of the MacLedger is published on the day of our monthly general meeting. The June, July, and August issues are combined into a special Summer issue which is available in June. A full back-catalog of the MacLedger is available for download in our "members only" section of the website. Members are encouraged to submit their own written reviews, how-to's and other interesting topics for publication. All submissions can be sent to our MacLedger Editor, Agnes Drake Idyk for inclusion in a future publication. 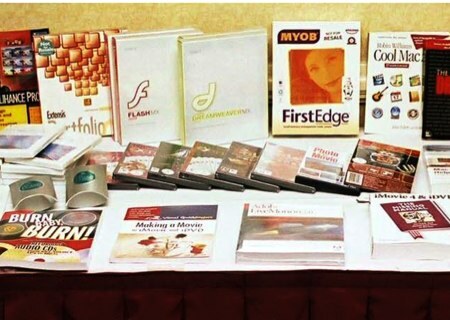 Many vendors provide the group with free copies of software, hardware, books, and service memberships to auction off at our monthly meetings. NJMUG members are eligible for inclusion in all such auctions conducted at our general meetings. Also, from time to time, we buy useful items which are distributed free of charge to all current members. "Sharing Knowledge and Building Friendships Since 1984"
Own a Mac? iPhone? iPad? iPod? Learn how to use your Mac, iPhone, iPad, and iPod to their full potential. 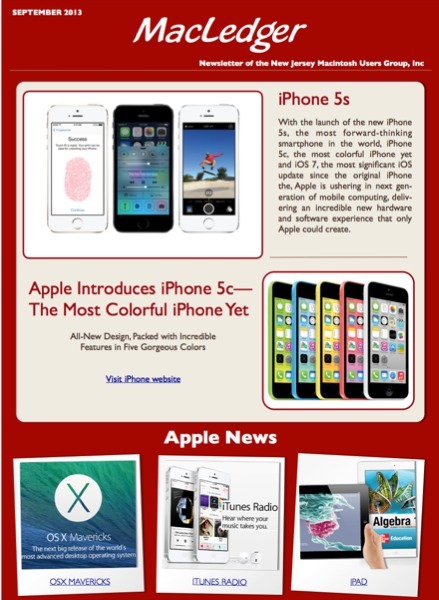 Get the latest information on the newest Apple technologies. Learn the tips and tricks of experienced Apple users. Get to interact with fellow Mac enthusiasts. Get to share your own knowledge with others. Cultivate wonderful long lasting friendships.